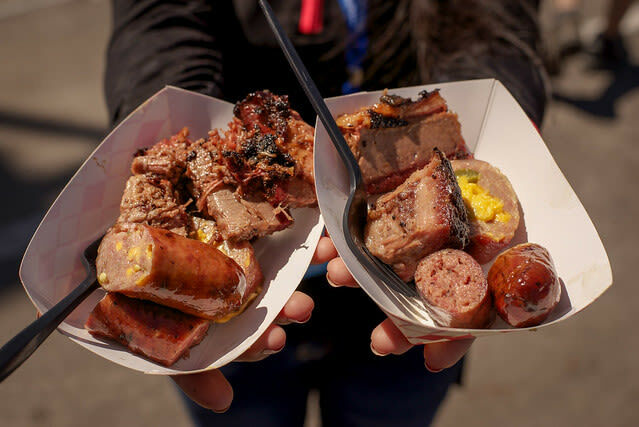 Get to the Houston BBQ Festival on Sunday ... while the gettin' is good. 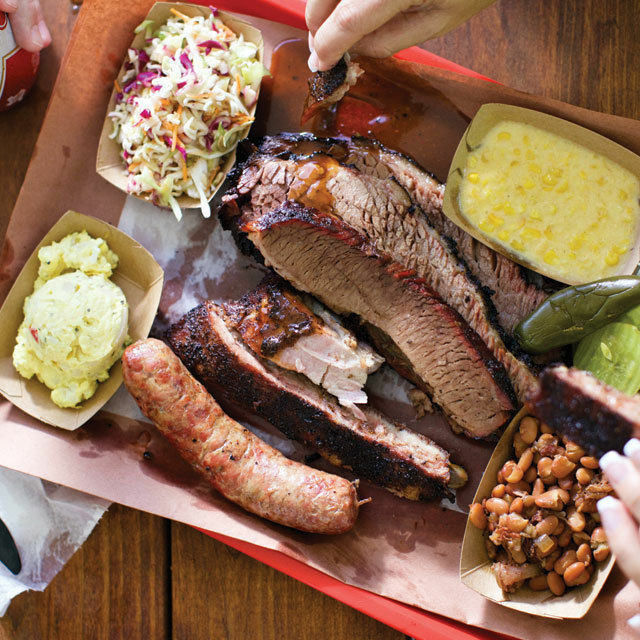 Sunday is the Houston BBQ Festival, set for 1 to 4 p.m. at the Humble Civic Center Arena. 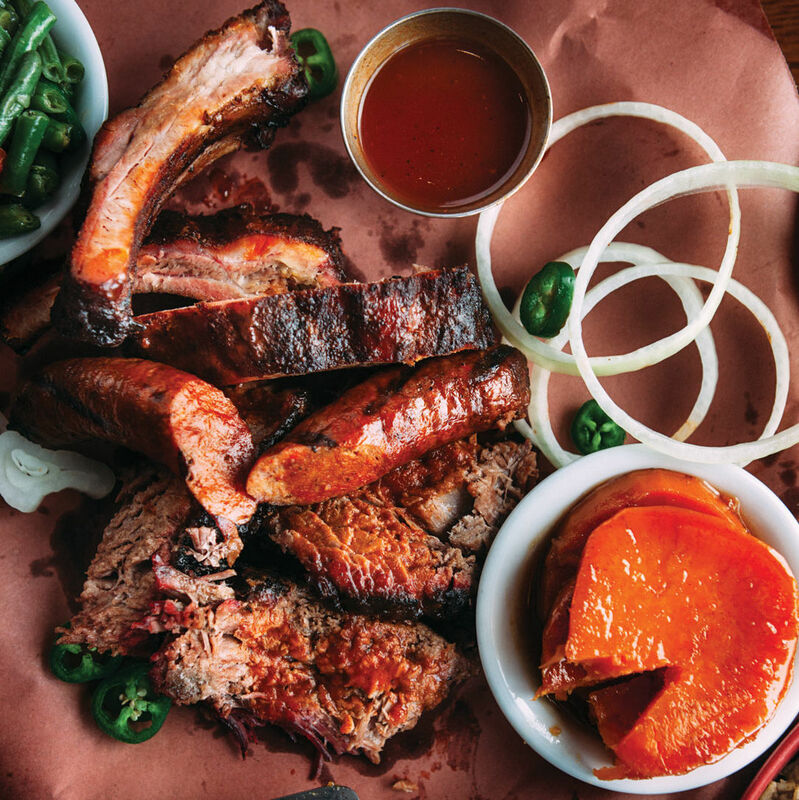 The seventh annual event includes just about all the heavy hitters in town, from Killen's Barbecue to Blood Bros. to the Pit Room to Gatlin's to Pinkerton's to Feges BBQ. Tickets are $60 (general admission) and $120 (VIP). Enjoy live music by Folk Family Revival and local craft beer, along with unlimited sample portions from the participating barbecue joints. 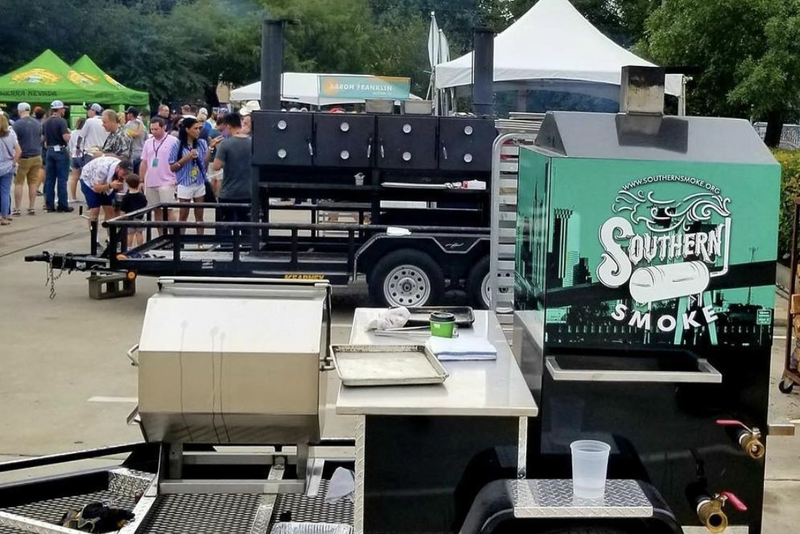 Also on Sunday: the kickoff for Southern Smoke Spring. 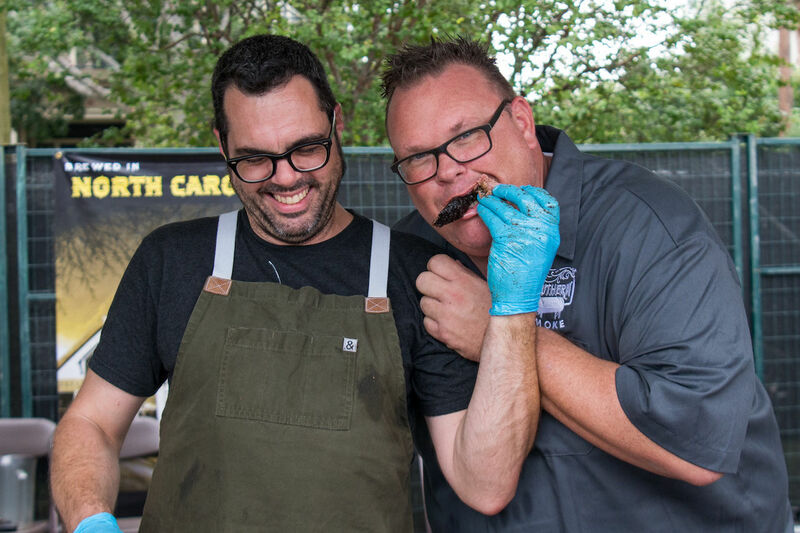 At 6:30 p.m. is the much-anticipated Aaron Franklin and Chris Shepherd dinner at Georgia James. All the big dinners are sold out, but you can take part in the Citywide Steak Nights set for April 16 and 17. 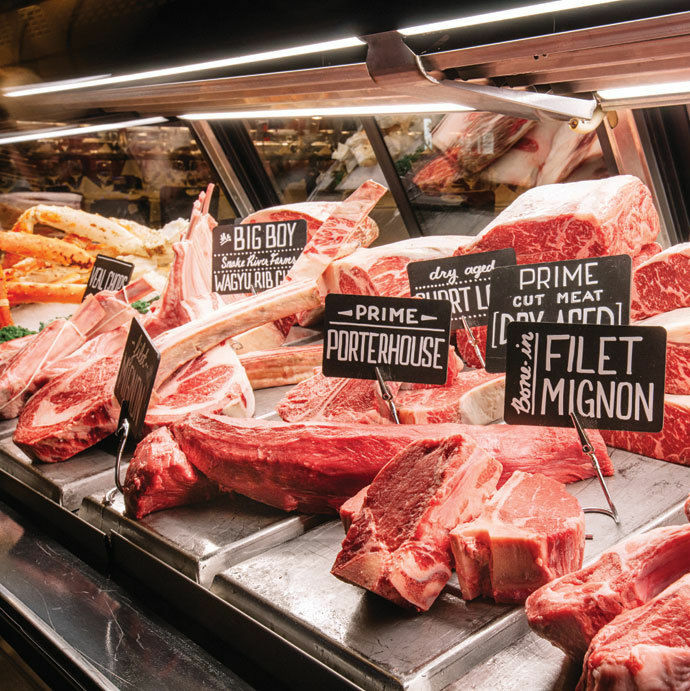 Visit one of the participating restaurants and order the 44 Farms steak featured, and the meal cost goes toward the Southern Smoke Emergency Relief Fund. 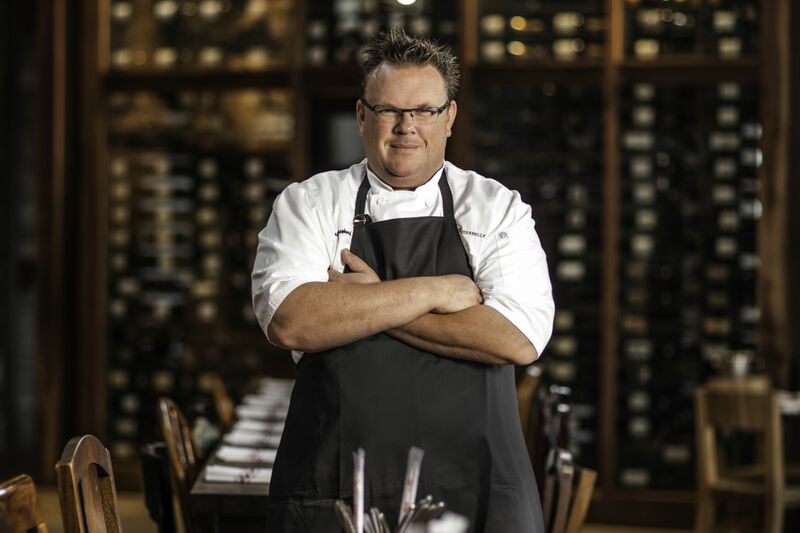 More happening Sunday: Chef Troy Guard, who is bringing his steakhouse Guard and Grace to Houston, is taking part in a collaborative seven-course dinner at Uchi at 6:30 p.m. A seat is $175, and the meal includes aged duck breast, Akaushi strip loin, grilled octopus, poached Hawaiian blue prawns, and more. 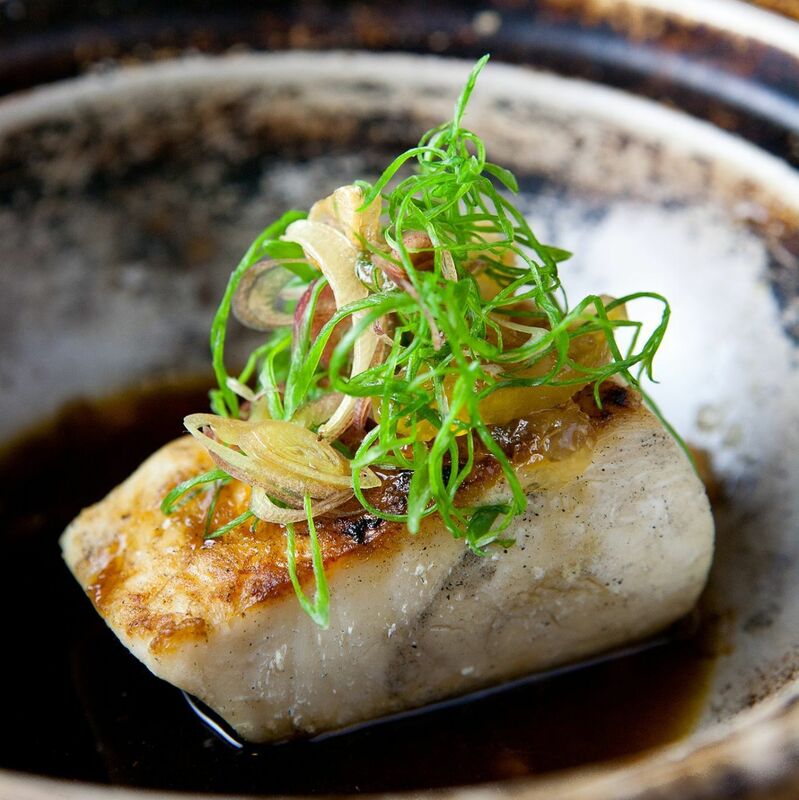 To reserve, call Uchi at 713-522-4808. Noon Mediterranean is now Daphne's Mediterranean, and the revamped fast casual Greek spot will open April 19 at 107 Yale St. #600, then April 26 at 1600 Louetta Road in Spring. 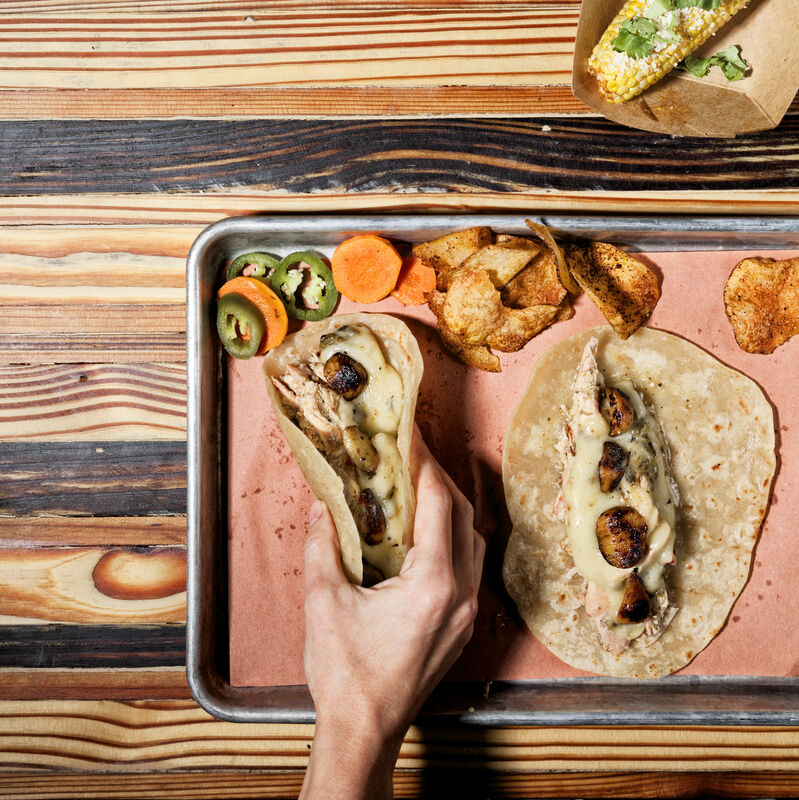 Daphne's Inc. acquired Austin-based Noon Mediterranean out of bankruptcy in October 2018. The new menu combines Daphne's items like gyro, grilled seafood, and falafel, with build-your-own bowls. The upstairs patio at Axis & Alibi. Say hello to Axis & Alibi. The upscale lounge from Carlos Palomo (Crome, Sullivan's Steakhouse) will host its grand opening April 26 at 5701 Washington Ave. in Rice Military. Axis & Alibi is two stories: on the first floor (which is already open), a patio with lounge seating and bar stools against open windows, plus televisions for sporting events; and on the second floor (to open April 26), a more intimate space with a 20-foot bar and patio overlooking Washington Avenue. Bottle service is offered, and happy hour is 4-8 p.m. Tuesday-Friday. The bar is open 4 p.m.-2 a.m. Tuesday-Saturday and 4 p.m.-midnight Sunday. Seating may still be available for a whole bluefin breakdown at Tobiuo tonight. At the Katy sushi spot, Chef Mike Lim turns a full Spanish bluefin tuna into a multi-course meal for 10 diners. Contact the restaurant if interested; seats are $95 a piece and the dinner starts at 7 p.m. There are a few new cocktails at Pappas Bros. Steakhouse, courtesy beverage concept manager Matt Tanner: burnt caramel old fashioned, chai fizz, espresso martini, and mai tai. Prepare for the voodoo revolution. 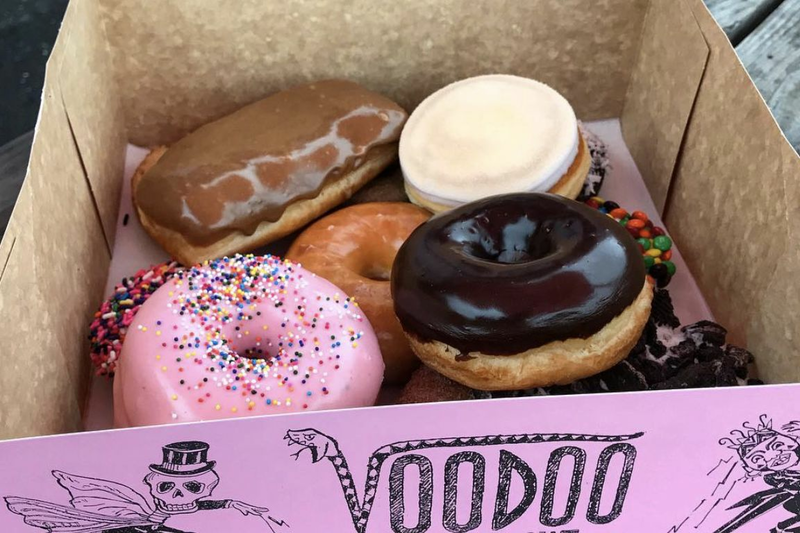 Portland-based Voodoo Doughnuts is already coming to Washington Avenue, which we reported two weeks ago. Now, according to the Chronicle, it's adding a location at 1719 Westheimer, just across from Agora. 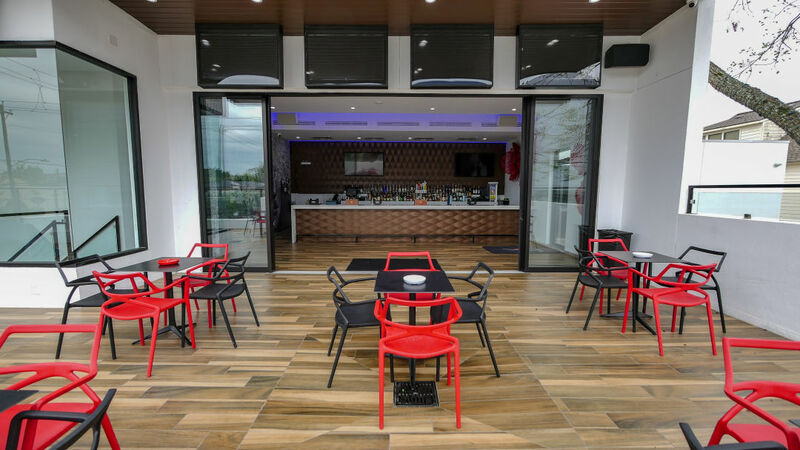 Per CultureMap, vegan restaurant Verdine is now open at the Heights Waterworks development at 20th and Nicholson, also home to Hopdoddy and soon-to-open Jinya Ramen and Common Bond locations. Verdine's menu includes a Beyond Meat burger, jackfruit carnitas, and spinach dosa, along with salads and nosh plates. Balls Out Burger has closed its Heights location, according to CultureMap. Its food truck, however, is alive and well and still operating. And Palestinian ice cream is here thanks to Booza, which Eater reported is now open at 5922 Richmond Avenue. Note: The ice cream is stretchy.